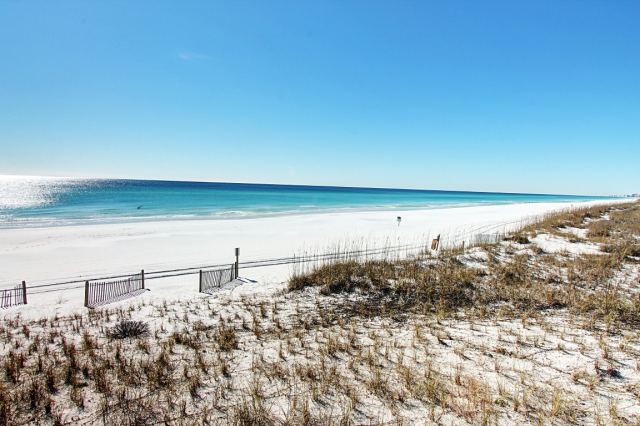 Going Coastal #205 in Carillon Beach Inn is a newly updated condo that sits on the beautiful 13 acre Carillon Lake. This studio unit has a king bed, a queen sleeper sofa and comfortably sleeps 4. 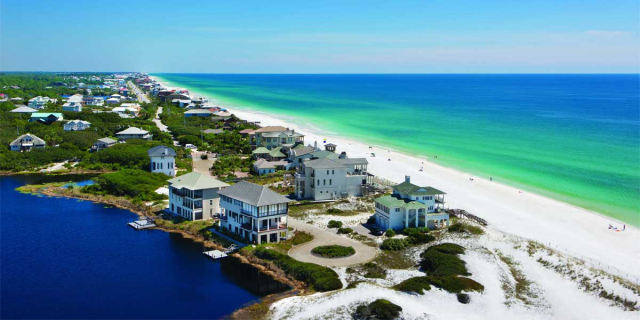 Take a short stroll around Carillon Lake to the private white sand beaches and enjoy the vast amenities that Carillon Beach Resort has to offer. This condo has a kitchen with granite counter tops and living area with a balcony that overlooks the lake. You will have access to 4 pools, including the luxurious resort pool and the gorgeous views at the beach side pool. 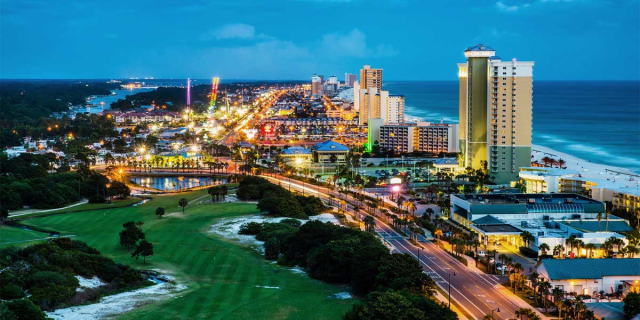 Plus tennis courts, a basketball court, coin operated laundry, and with Downtown Carillon's shopping, dining and resort services, you will never want to leave! 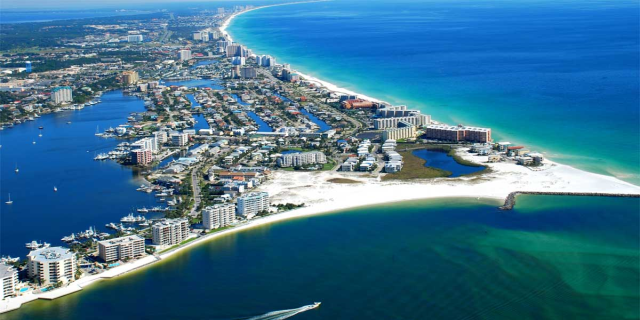 Carillon Beach Resort is a beach side development offering condo and vacation home accommodations, spanning 104 acres and 3900 feet of sugar-white sand beach along the Gulf of Mexico. This active community offers paved paths throughout, plus Lake Carillon—a 13-acre freshwater lake—and private beach access. 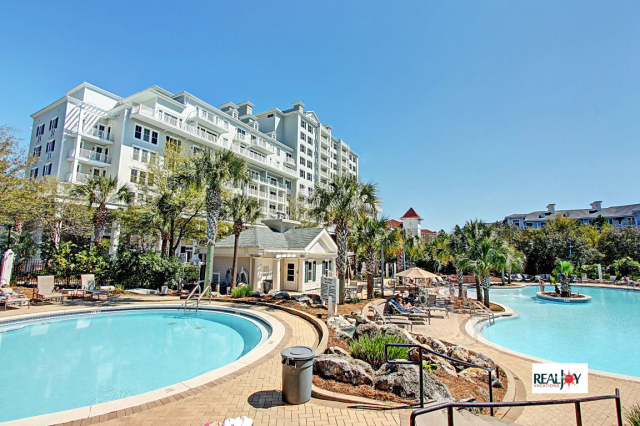 "Downtown Carillon" boasts dining, shopping and resort services, complete with cobblestone streets, private courtyards, and lush landscaping. 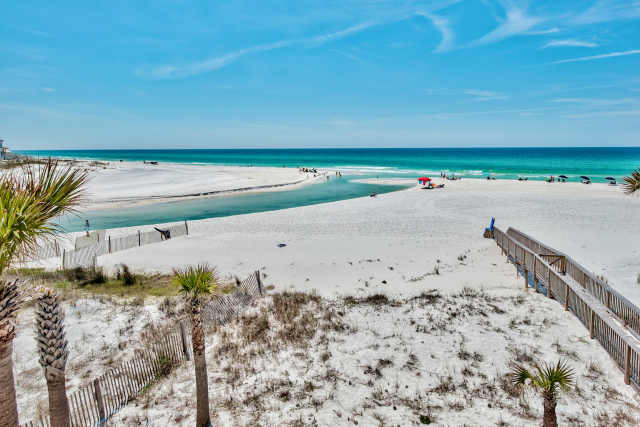 Enjoy an array of activities as well as four pools in Carillon, along with close proximity to the shopping and dining amenities of 30A and Panama City Beach. 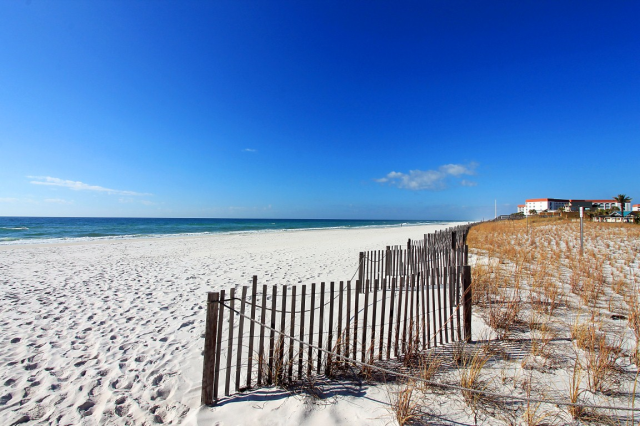 Head over to the beaches and dip your toes in the water or simply relax and enjoy the small-town community vibe that Carillon Beach has to offer. 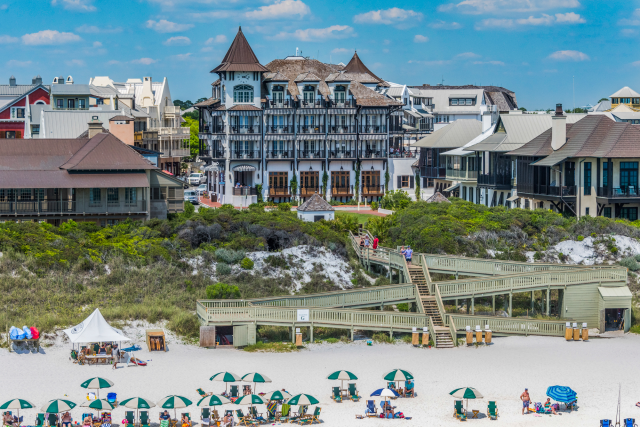 Rosemary Beach is only 3 miles away, with shops and restaurants, including the Old World style town center w/coffee shop, bike & surf rentals, and unique shops. Check out the open air markets on the weekends.